This highly explosive card game will test players’ nerves to the limits. Quick wit and thinking is required to find a word that begins with the letter on the card and matches the theme, such as can you think of a chocolate bar beginning with the letter F? You can feel the brain cells firing as you rapidly try to come up with a word before the ten second allowance is up. Hesitation is not allowed and the player holding the fewest cards at the end of the game is the winner. 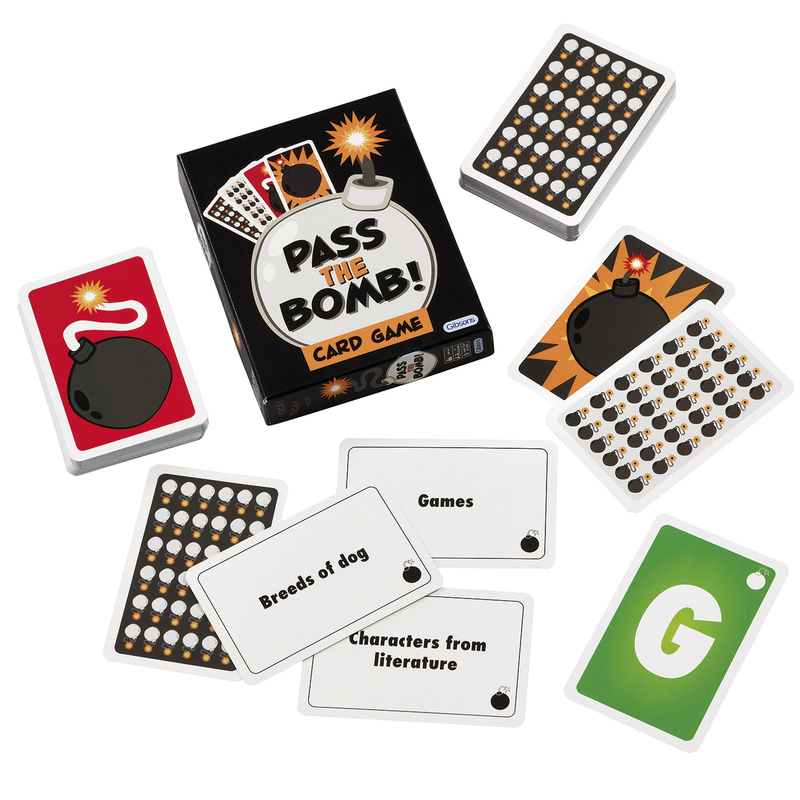 Pass the Bomb card game is a fine example of how tongue-tied panic can clear the mind instantly! 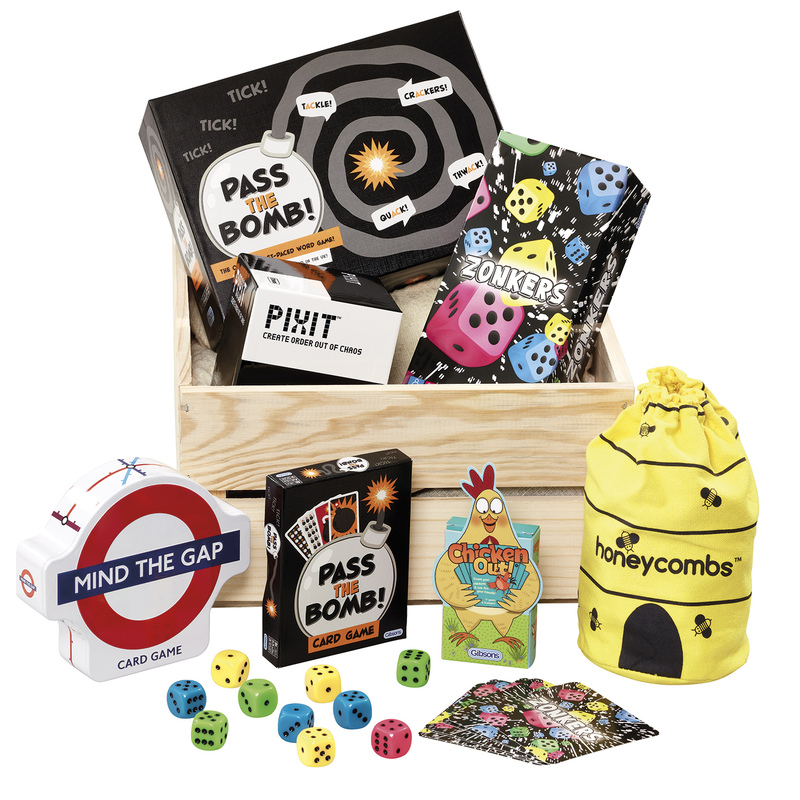 Based on the original Pass the Bomb, winner of the Daily Telegraph Game of the Year Award, Gibsons have turned this family favourite into a simple card game which can be packed up and taken anywhere.